This article is about the military rank. For the civilian occupation, see able seaman. Able seaman is a military rank used in naval forces. In 1653 the Royal Navy introduced a new pay scale as part of reforms following defeat in the Battle of Dungeness the previous year. Included in these reforms were, for the first time, separate pay scales for more experienced seamen. It distinguished between an ordinary seaman and an able seaman. The higher ranked able seaman could steer, use the lead and work aloft, traditionally to "hand, reef, and steer." An able seaman received about 25% higher pay than an ordinary seaman. In the middle of the 18th century, the term "able seaman" (abbreviated AB) referred to a seaman with more than two years' experience at sea and considered "well acquainted with his duty". Seamen with less experience are referred to as landmen (for the first year at sea) or ordinary seamen (for the second). In time of war (such as the Seven Years' War or the Napoleonic Wars), with many more warships in service, the navy, merchant marine, and privateers competed ferociously for the limited pool of able seamen, leading to the unpopular use of impressment by the Royal Navy to keep its ships manned. In peacetime, with fewer active warships, there was usually a surplus of unemployed able seamen willing to work in the navy. As late as the Napoleonic Wars, the Royal Navy's practice of stopping American ships to press American sailors into involuntary service was one of the main factors leading to the War of 1812 with the United States. In the Royal Canadian Navy, able seaman (AB) is the second-lowest of the non-commissioned member ranks, ranking above ordinary seaman and below leading seaman. Able seamen wear a single gold chevron, point down, as an insignia of rank; it is worn on the upper part of both sleeves of the service dress tunic, and on slip-ons on both shoulders on other uniforms. In all trades, the rank is awarded on completion of 30 months of service, by which time all initial training is completed. Consequently, it is sometimes said that promotion to the rank of able seaman means the recipient has lost their 'best excuse', on the theory that ordinary seamen are generally assumed to know nothing. Able seaman is the equivalent rank to private (trained), or simply private, in the Army and Air Force. In French the rank is called matelot de 2e classe. In the Royal Australian Navy, able seaman (AB) is the second-lowest of the non-commissioned member ranks, ranking above seaman and below leading seaman. Able seaman is the equivalent rank to Leading aircraftman, in the Royal Australian Air Force and Private Proficient in the Australian Army. It is not equivalent to Lance Corporal which is rated as E4, not E3 like the ranks of Able Seaman and Leading Aircraftsman. ABIS stands for Able Seaman Imagery Specialist. N.A.M. Roger. The Wooden World: An Anatomy of the Georgian Navy. W.W. Norton and Company, 1986. N.A.M. Roger. The Command of the Ocean: A Naval History of Britain, 1649–1815 W.W. Norton and Company, 2004. A non-commissioned officer (NCO) is a military officer who has not earned a commission. 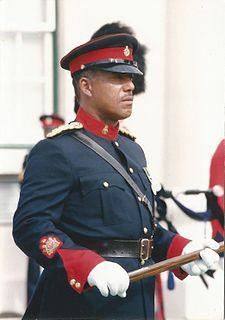 Non-commissioned officers usually obtain their position of authority by promotion through the enlisted ranks. In contrast, commissioned officers hold higher ranks than NCOs, have more legal responsibilities, are paid more, and often have more non-military training such as a university diploma. Commissioned officers usually earn their commissions without having risen through the enlisted ranks. 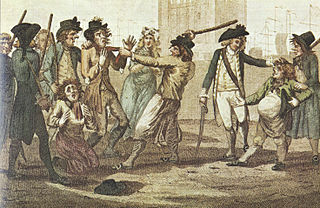 Impressment, colloquially "the press" or the "press gang", is the taking of men into a military or naval force by compulsion, with or without notice. Navies of several nations used forced recruitment by various means. The large size of the British Royal Navy in the Age of Sail meant impressment was most commonly associated with Britain. It was used by the Royal Navy in wartime, beginning in 1664 and during the 18th and early 19th centuries as a means of crewing warships, although legal sanction for the practice can be traced back to the time of Edward I of England. The Royal Navy impressed many merchant sailors, as well as some sailors from other, mostly European, nations. People liable to impressment were "eligible men of seafaring habits between the ages of 18 and 55 years". Non-seamen were impressed as well, though rarely. Seaman is a military rank used in many navies around the world. It is considered a junior enlisted rank and, depending on the navy, it may be a single rank on its own or a name shared by several similarly-junior ranks. This is a list of British Royal Navy ratings rank insignia. An able seaman (AB) is a naval rating of the deck department of a merchant ship with more than two years' experience at sea and considered "well acquainted with his duty". An AB may work as a watchstander, a day worker, or a combination of these roles. Once a sufficient amount of sea time is acquired, then the AB can apply to take a series of courses/examinations to become certified as an officer.